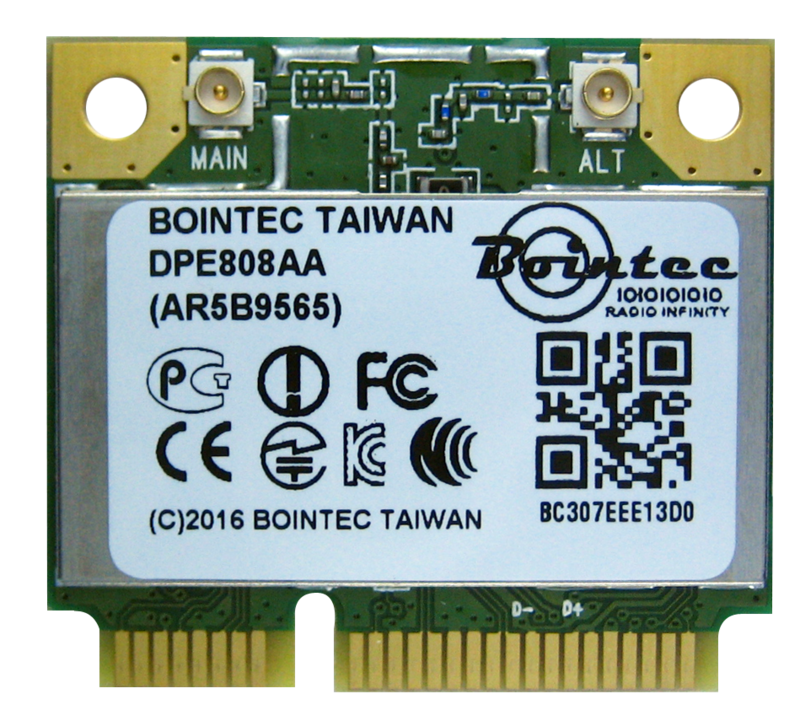 DPE809AA included Atheros AR9485 and AR3012 is a 802.11bgn 1x1,plus Bluetooth 4.0 solution.With features of Atheros Align 1-stream 802.11n, DPE809AA cutting the power consumption in half, the AR9485 is enabling best-in-class wireless features with a greatly-reduced impact on the battery life of mobile PCs.Backward compatible to 802.11b/g and forward compatible to multi-stream 11n.Targeting the growing value computing products market segment with 150 Mbps PHY rates, DPE809AA is the ideal wifi solution for computing users seeking robust throughput, enhanced range and extended battery life for data networking applications as well as P2P applications. 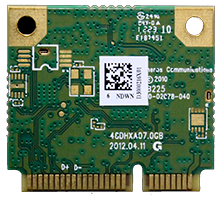 DPE809AA offers lowest power consumption 30 to 50 percent lower than comparable solutions. Such significant power savings are the result of Atheros enhanced PHY architecture, 55nm design and efficient power amplifiers. DPE809-AA also adapts a unique Green Transmission mode, which dynamically adjusts the systems Wi-Fi transmit power depend-ing on the distance between the router and the client device. 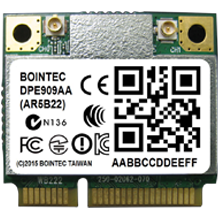 DPE809AA also adapts Atheros AR3012 supports both the Bluetooth 4.0 + HS specification versions. 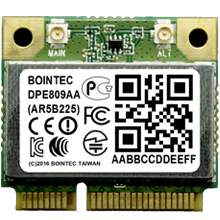 Bointec DPE809AA also utilizes Atheros Universal Wireless CooperationTM support for maximum performance with Atheros Atheros AR9485.Supports the standard HCI USB interface, which makes it compatible with any upper layer Bluetooth stack. Microsoft software is available for Win7, Vista, and XP. Linux BlueZ is also well supported. environment and the driver mechanism.